Ending federal protections for gray wolves could hinder dispersal of the keystone predators west of the Cascades, slowing or halting them from recolonizing suitable habitat in Western Washington and Oregon, Northwest conservation groups said Friday. They were reacting to the Obama administration’s proposal to lift federal protections for wolves in the Lower 48 states, with the exception of Mexican gray wolves in the Southwest. With more than 6,000 wolves roaming the Northern Rockies and western Great Lakes, U.S. Fish and Wildlife Service Director Dan Ashe said the species nearly exterminated during the last century has successfully rebounded. Ranchers hailed the move as long overdue and said it would give state agencies more flexibility in dealing with wolves that kill livestock. Killing problem wolves helps increase tolerance for the rangy predators in rural communities, where people are more likely to encounter wolves, said Donny Martorello, the Washington Department of Fish and Wildlife’s carnivore manager. However, environmental groups said that some wolves, including the Cascade packs, still need federal protection. Fewer than 20 wolves have been documented in the Cascades, which makes them especially vulnerable to poaching or state-sanctioned lethal control actions if they attack livestock, Friedman said. His group wants wolves in the Cascades to remain protected as a threatened subspecies. Their DNA indicates that some of their lineage comes from wolves in coastal British Columbia. They’re smaller than the Rocky Mountain wolves migrating to Washington from the east, and they eat salmon when it’s available, Friedman said. 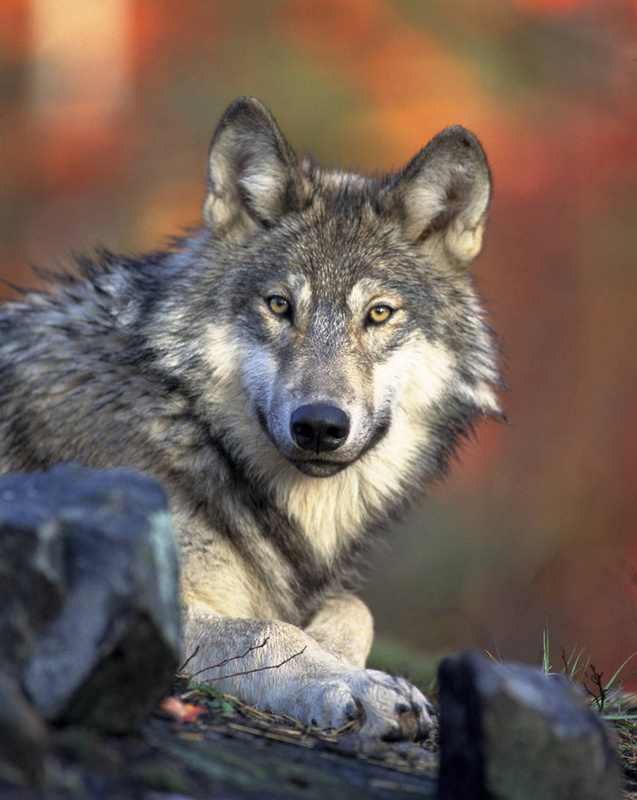 Penalties for poaching wolves are stiffer under federal management than state rules, he noted. A federal conviction for poaching an endangered species can trigger fines up to $50,000 compared to a maximum of $5,000 to $10,000 for a state conviction. “The delisting will make it easier for the states to kill wolves, which from our perspective is unfortunate,” said Noah Greenwald, endangered species director for the Center for Biological Diversity in Portland. Greenwald’s organization is among those that have vowed to sue the federal government if the wolves come off the endangered species list. Some environmental groups are pressing for continued federal protection until wolves return to a larger portion of their historic range, including parts of Colorado, Utah and the Northeast. A decision on the proposal is expected later this year. Under state management, Washington’s wolves would continue to be protected, said the WDFW’s Martorello. Before a public hunting season could be considered, wolf numbers and geographic distribution would have to meet state-approved thresholds. Managers would evaluate how lethal control actions would affect Washington’s overall wolf population or dispersal potential, Martorello said. State Sen. John Smith, R-Colville, who raises cattle, said delisting wolves would benefit Washington residents by creating consistent management. Currently, wolves are federally protected in the western two-thirds of the state but not in Eastern Washington. Smith said constituents frequently contact him with concerns about Washington’s expanding wolf population. Earlier this year, he sponsored legislation that allowed Washington residents to shoot wolves attacking pets or livestock.